Here at the ‘Insider,’ we like relics from Concord’s past. That’s why we stop by the downtown Franklin Pierce statue every Thursday to share a sandwich with him. 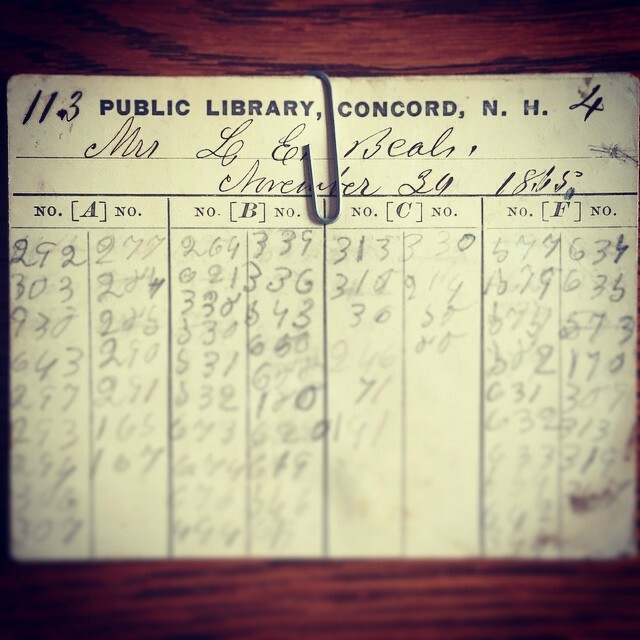 And it’s also why we love this, a picture of a Concord library card from 1865. Who knew they even had books back then? Thanks to the fine folks at @concordnhlibrary for sharing the picture, and thanks to this reader from the past for checking out so many books back in the day. He or she certainly appears to be well-read in books that can be categorized by three digit numbers. We want to see your Instagram photos, too – just tag us with #concordinsider when you post!